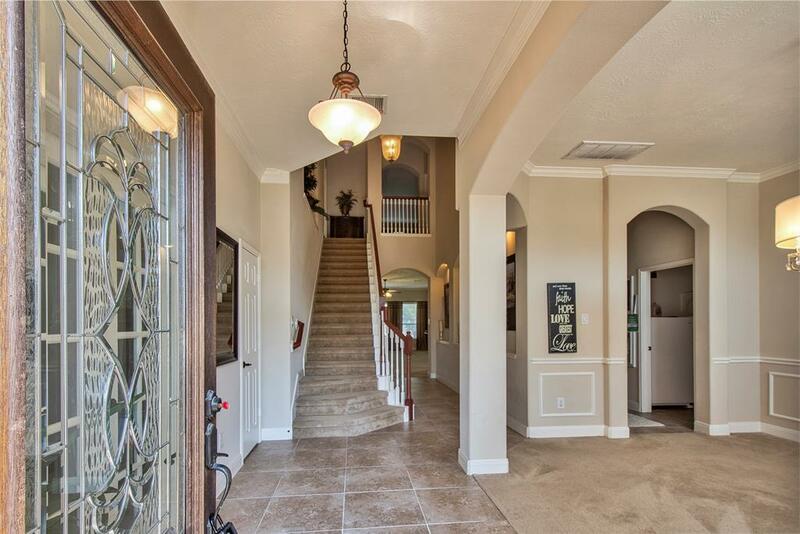 Fall in love with this beautiful home nestled in a family-friendly community of Summerwood. 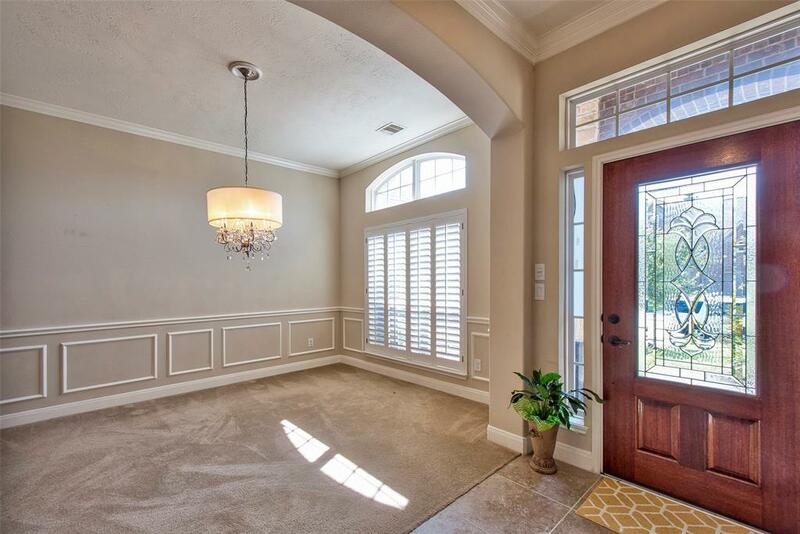 Open floor plan features spacious 4 bedroom, 3 full baths, study, granite counter-tops, custom 42' solid cherry wood cabinets, and 20' ceramic tile throughout kitchen, foyer, and bathrooms. Large game-room with 5 ft extension and wired for surround sound, Whole house is wired for satellite. 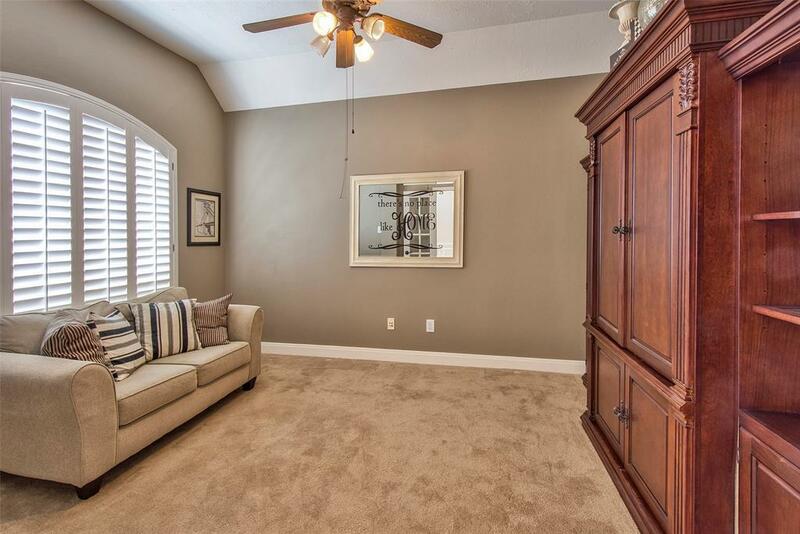 You will also love the upgrade of the secret door from the utility room into master closet! 2 Updated AC units only 2 years old!!!! 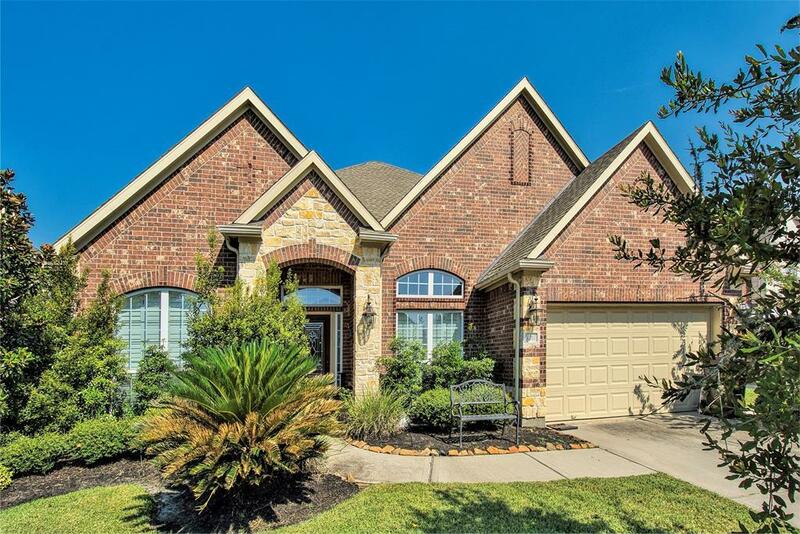 If you love outdoor entertaining you will love the covered patio with stamped concrete and outdoor kitchen with fridge!! 2 ceiling fans and outdoor patio also wired for surround sound. No flooding and no standing water on street!!! Need a place to call home, this is it!! !